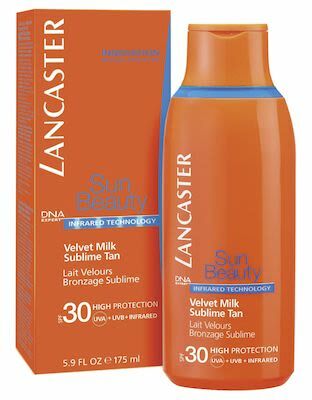 Lancaster knows that a beautiful tan is the result of high quality protection. Today we offer our broadest sun protection ever in a new generation formula that combines optimal UVA/UVB protection with new Infrared Technology, to further protect skin Beauty from sun damage. This Velvet Milk body lotion provides an ideal golden tan while maintaining firmness and elasticity. Lancaster Sun legendary scent.